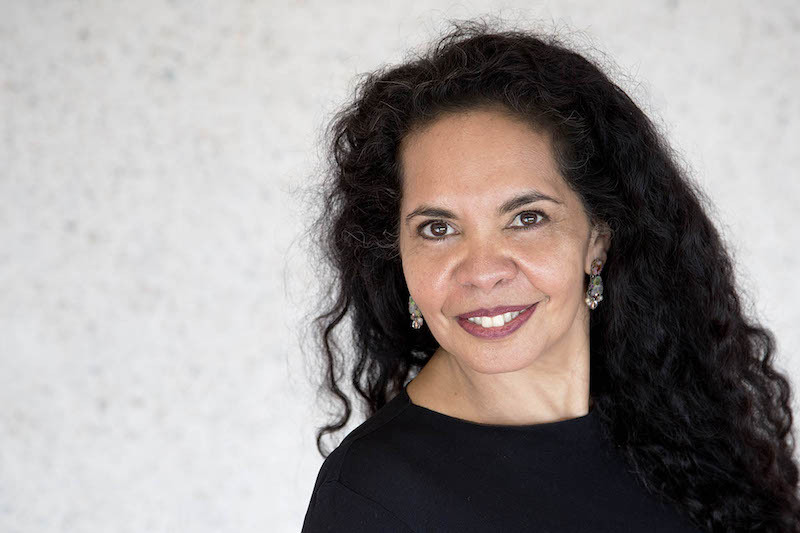 Darwin Aboriginal Art Fair Foundation chair Franchesca Cubillo on curation, conversations and community. How did you get started as a curator? I didn’t even know what a curator was, but I was studying Australian ethnology and anthropology in Adelaide. I pursued a cultural research project examining the Strehlow Collection, and worked with the South Australian Museum and significant curators and anthropologists like Dr Chris Anderson, Dr Philip Jones and Dr Peter Sutton. It was a great introduction to the role curators play with collecting institutions. I have seen a few things happen in the sector and always try to ensure that Indigenous agency and control has been at the forefront in way institutions engage with art and culture of our people. You have been involved with Indigenous art in Australia at the most dynamic time in its history. What compels your journey? At the forefront of my thinking now is that Aboriginal and Torres Strait Islander people need to start writing our own art history, with our own perspective. Our art is very much seen in the Western art construct – words such as abstraction and post modernism are Western terms. For example, when you think of Emily Kngwarreye, the notion of her being a modernist painter is a really strange thing, a Western construct used to determine her place. She was a remarkable artist, never went to art school or learnt art theory, yet she made work recognised within that Western discourse. Rather than use those terms we could look to Kngwarreye and her culture and her aesthetic to influence the Western art aesthetic. I believe we need to recognise that Indigenous art is from a different framework and aesthetic and parameters. I would like to see the writing of the Indigenous art history of this country by Indigenous people, not so that it takes over but, rather, provides insights to Western art theory that we haven’t understood as yet. What drew you to chair the Darwin Aboriginal Art Fair Foundation? It is all about Aboriginal and Torres Strait Islander artists and their self representation, and offers a platform at a professional development level for art workers. People come to Darwin to see artwork coming out of an art centre, and to build up a strong relationship with the artists there. The benefits include workers and artists having conversations, gaining economic return, and being reinvigorated by seeing what other artists are doing. The fair brings together over 60 art centres from across Australia: they become inspired and motivated to step up and take it to the next level in their community. What challenges does the commercial world offer Aboriginal and Torres Strait Islander art? We have seen difficulties in the market where Indigenous artists works are copied commercially and culture not respected, protocols not adhered to. The fair only invites art centres owned and run by Indigenous artists, and organisations are present who have conversations about advocacy and best practice standards, but also inform the general public about how to buy ethically and engage with Indigenous people in terms of art and culture. We are a foundation so the fair itself is now only one of many platforms. Last year we engaged with other events. We had a panel discussion, showcased textiles and fabric design, and included a Film Festival, where Aboriginal and Torres Strait Islander people may show their own films and stories. We also publish a magazine each year so that stories can be captured in print form and celebrate them. What is unique about DAAFF and its relationship with art centres? We are a national event and platform for Indigenous owned and operated art centres. There is nobody in between the art centre and the public. The art market is big and complex, and the secondary market is necessary, but there are few Indigenous people engaged and operating within the secondary platform. What initiatives keep DAAF popular? We look at what is happening within the sector and facilitate necessary platforms. art centres do a remarkable and complex job within a community; it often is the economic and cultural hub of a community. The fair should be ever-dynamic, and keep pace with art centres. We recognise the fragility of the sector and have strategies in place to support and potentially strengthen it. This article was first published in the 2017 Art Collector / Darwin Aboriginal Art Fair special edition. Image: Franchesca Cubillo. Courtesy: DAAF, Darwin. Melbourne's West Space offers up works donated by Australia’s top artists. 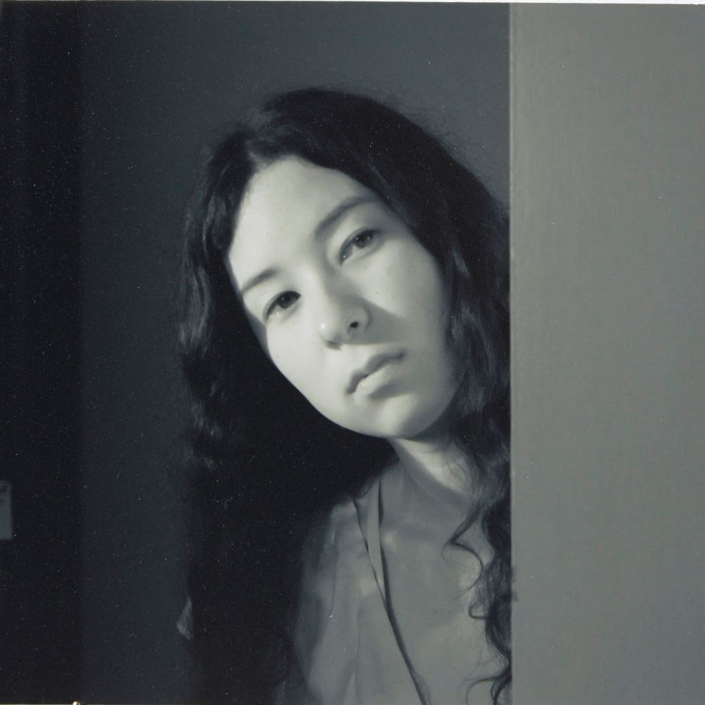 The Biennale of Sydney announces the first artists, creatives and collectives to participate in the 2020 exhibition titled NIRIN. 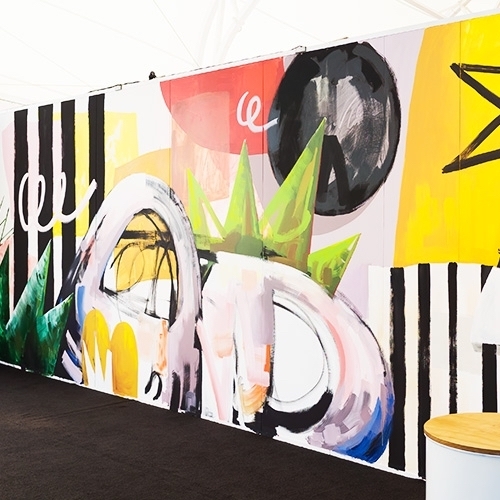 An unconventional approach at Auckland Art Fair 2019 is an opportunity for collectors to discover talent already vetted by the inner sanctum of the art world. 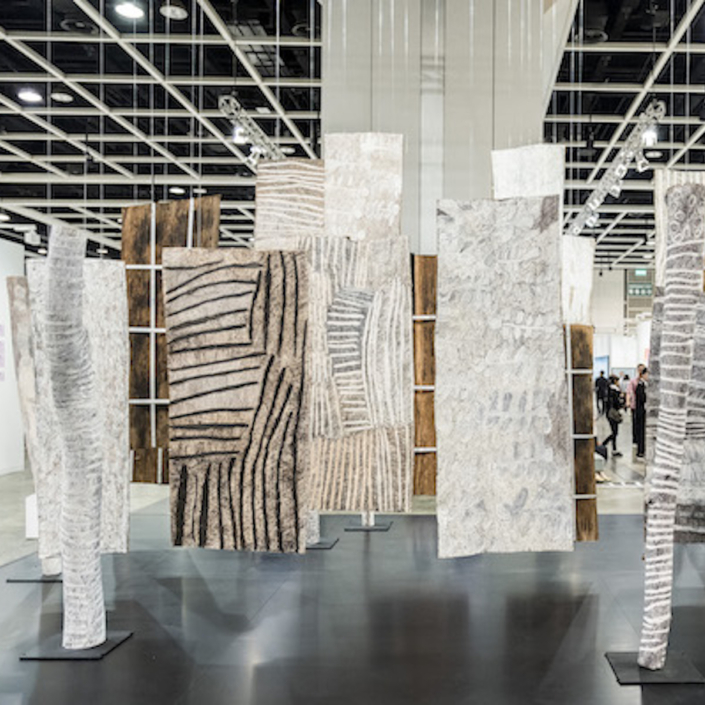 The region’s largest art fair, Art Basel Hong Kong, kicks off another round at the end of March.